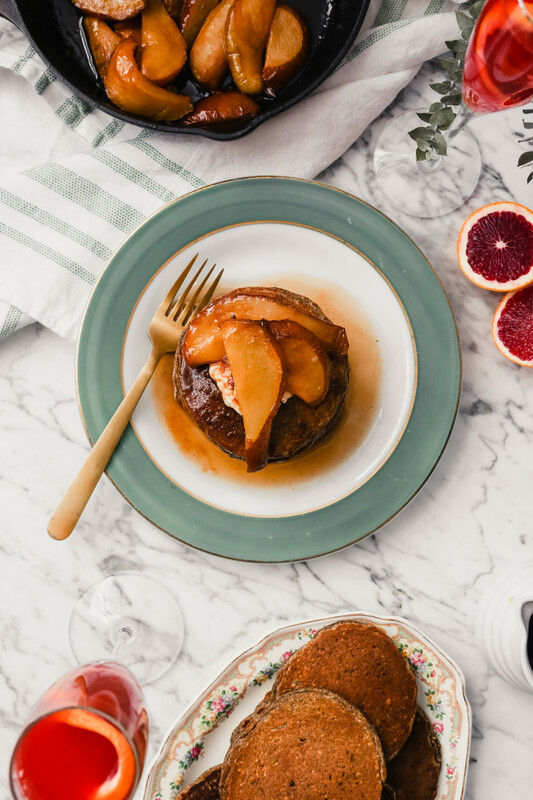 This modern take on the classic pancake brunch menu is one you will keep coming back to time and again. Featuring two incredibly versatile recipes, this menu doesn’t have to be confined to the winter months. Each recipe includes tips and ideas on how you can make them work for YOU. Whether you’re gluten-free, vegan, dairy-free, etc. each recipe can be modified to suit your needs. They also can be modified to suit the season you’re in. Hello options! 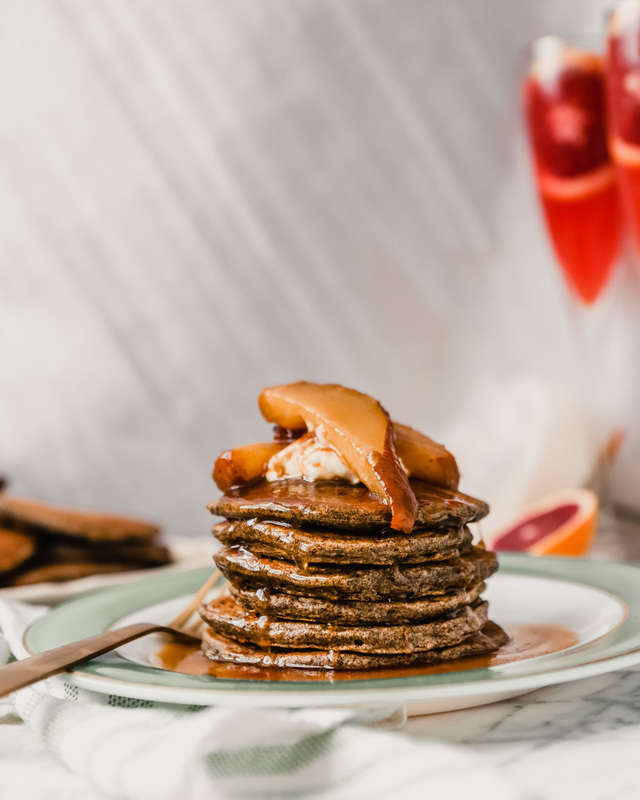 This brunch menu features my all-time favorite buckwheat pancakes. They’re naturally sweetened, which means they’re free of any refined sugars, and are made with only clean, wholesome ingredients like oats, buckwheat flour, eggs and buttermilk. Top them with the most delicious caramelized pears—they are seriously heaven—and these flapjacks take the cake! And finally, wash it all down with a classic brunch cocktail reimagined—The Blood Orange Mimosa. Spiked with a bit of ginger liqueur, this cocktail calls for just 3 ingredients and tastes ten times better than the original version.